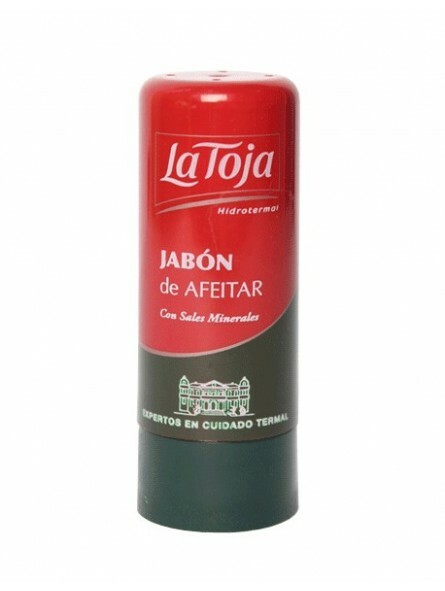 La Toja stick dermatological tested. Thanks to its natural ingredients provides a pleasant shaving and intense hydration. Excellent to make lather with bowl or just directly on wet face. 50 grams stick – Recommended when travelling. It can be checked in with your airplane hand-luggage. Shaving soap cheap but high quality, it protects and lubricates extremely well. the foam sets up in an instant and the scent is very pleasant not intrusive, the plastic container is a practical and hygienic.